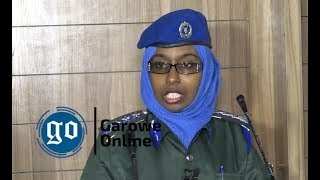 GAROWE, Puntland - Puntland state of Somalia has on Thursday, September 13, 2018, expressed regret over the recent decision by Germany to suspend a road rehabilitation project for lack of transparency, Garowe Online reports. 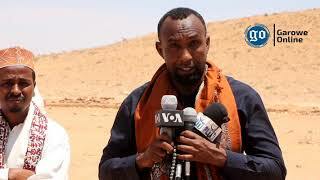 In a statement, the office of the state President, Abdiweli Mohamed Ali "Gaas" has labelled Germany as a "minor investor" in the rehabilitation of an 80-kilometre Jalam-Harfo section of Garowe-Galkayo corridor. "We underline here that Germany was a minor investor in the rehabilitation of Jalam-Haram sector of the Garowe-Galkayo corridor, and GIZ only an implementing partner of the project," read the statement. 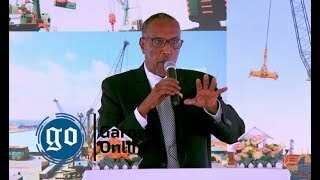 Speaking at the cabinet this week, Ali said he is working with the EU, as the main financier of the project which has expressed commitment to remain engaged in the project to ensure a successful completion. The completion of the road maintenance project which was planned for a timeframe started from April 2017 to May 2018 was fully suspended after the cooperation between the partners and PHA has worsened. The office of the President assigned PHA - Puntland Highway Authority to work with GIZ, a Germany's development agency, GIZ on the vital the project, but, the contract was terminated due to fraud, lack of transparency and accountability. 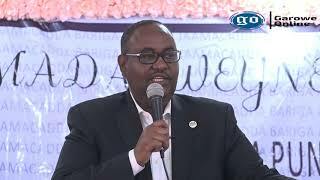 Puntland showed deep worry over the consequences of its fault as the Garowe-Galkayo road is a lifeline for the public and the economy. 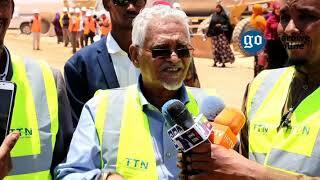 President Ali faced condemnation for losing this significant road project. The incumbent president whose four-year term expires in early 2019 has been accused of being the worst corrupt leader to lead Puntland since its inception in 2014, just 20 years ago.